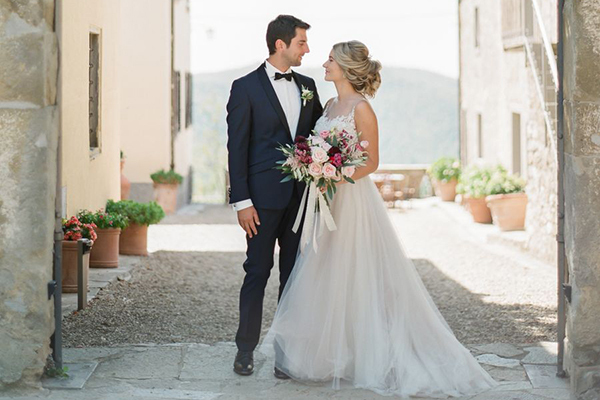 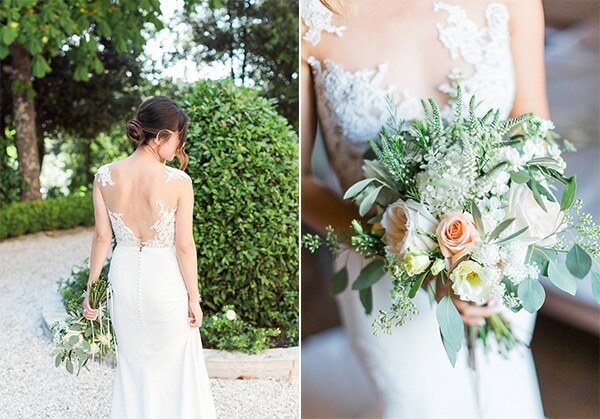 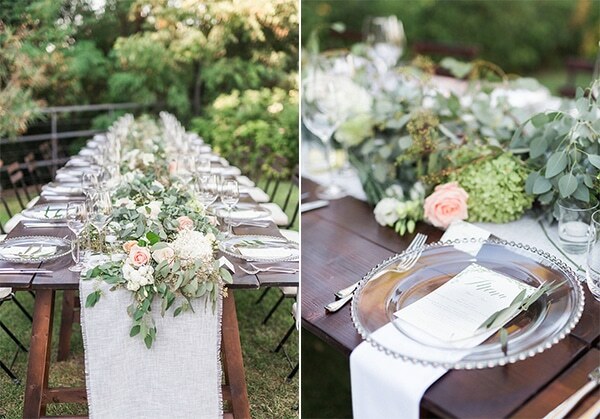 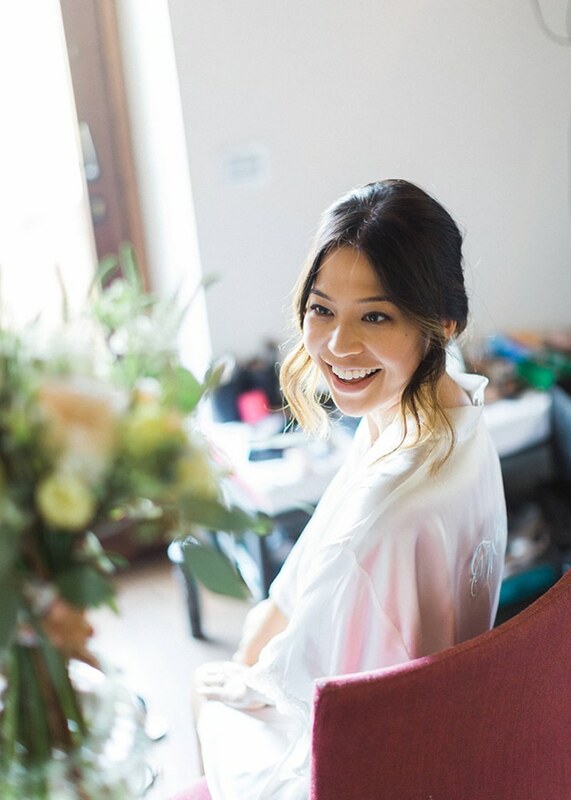 Getting married in Italy is romantic and completely dreamy and today’s wedding just confirms it! 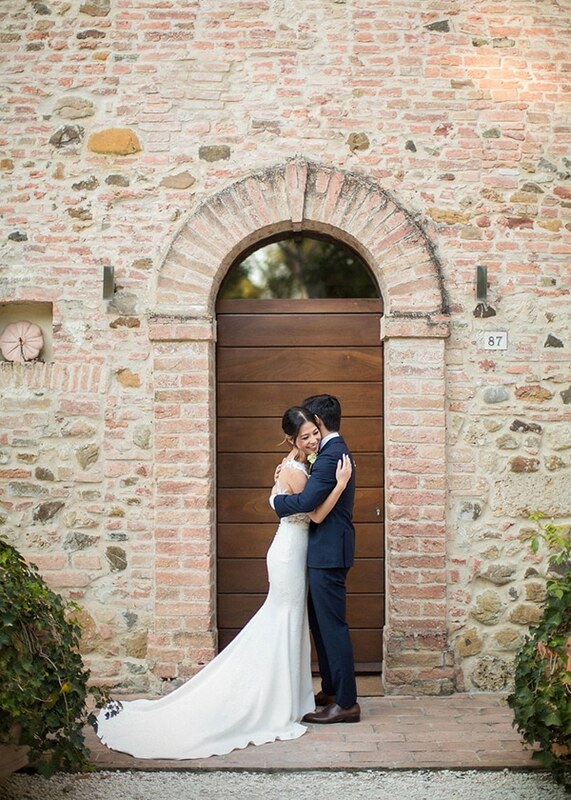 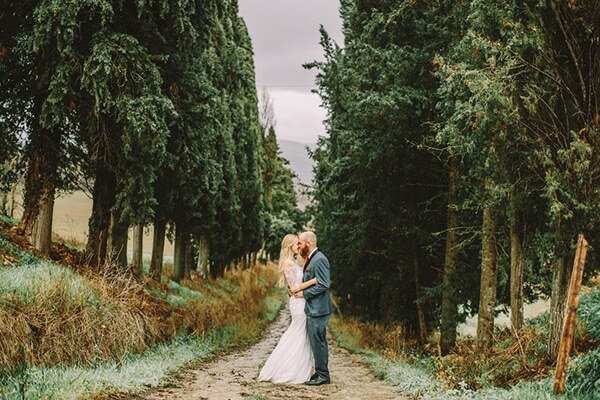 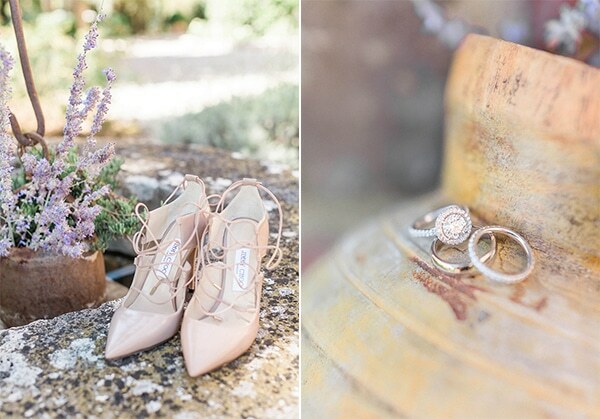 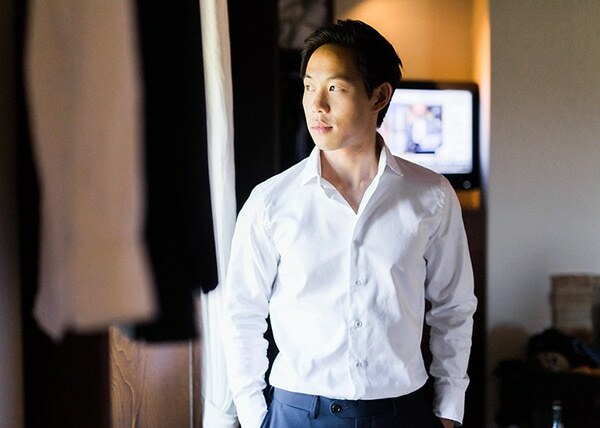 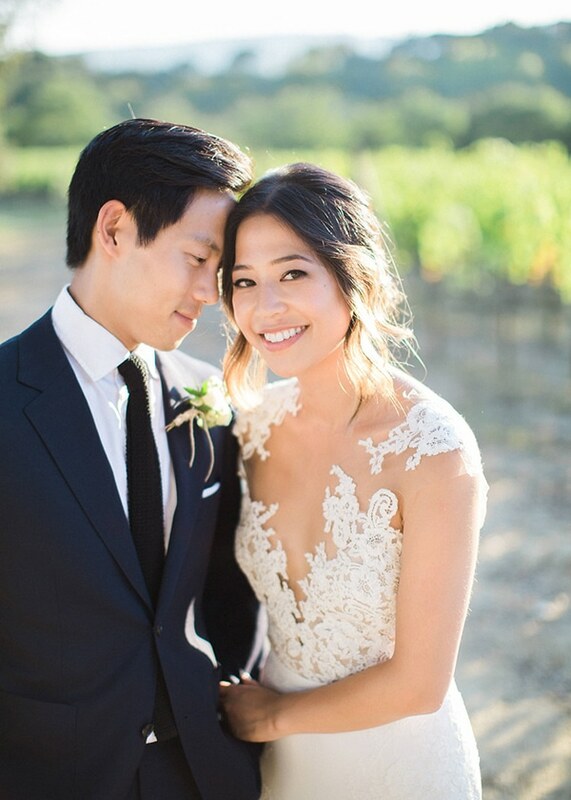 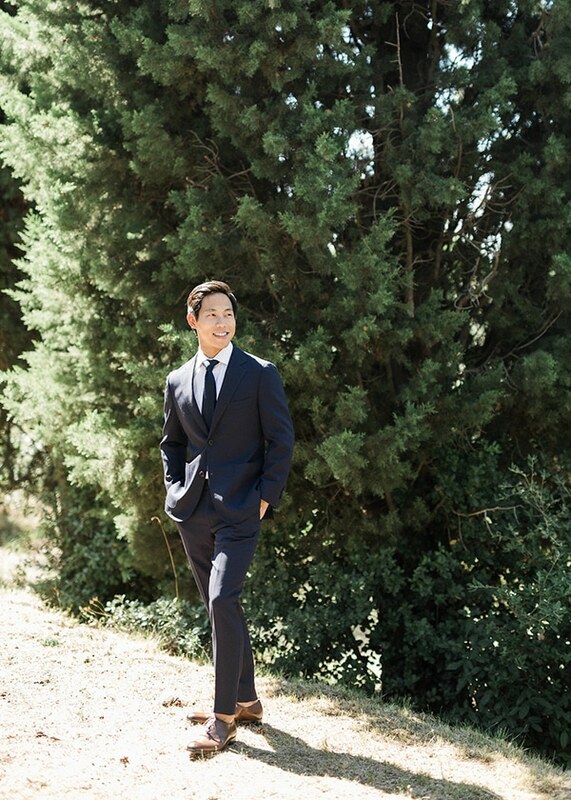 Annie and Bruce chose to have a beautiful wedding in Tuscany surrounded by vineyards! 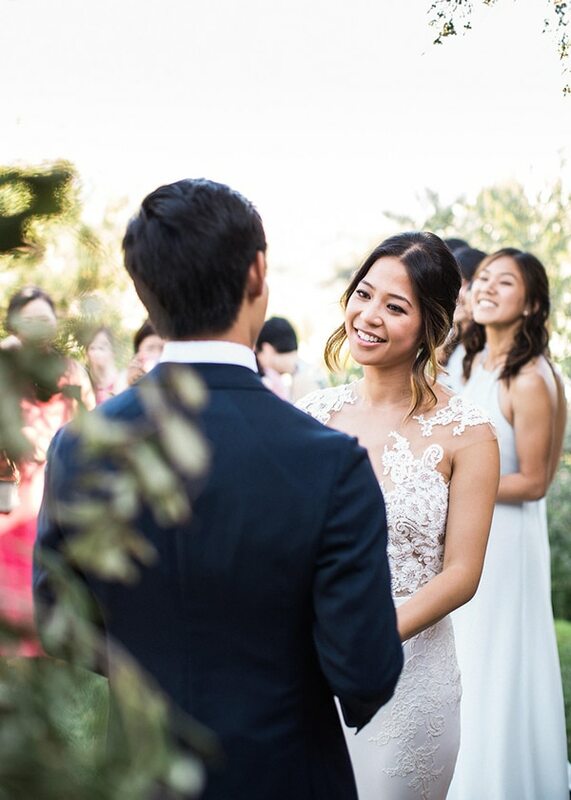 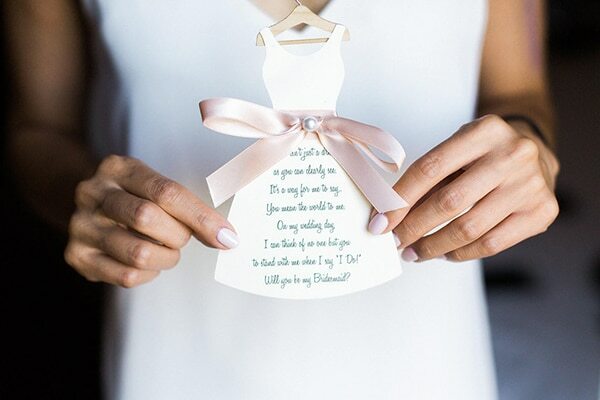 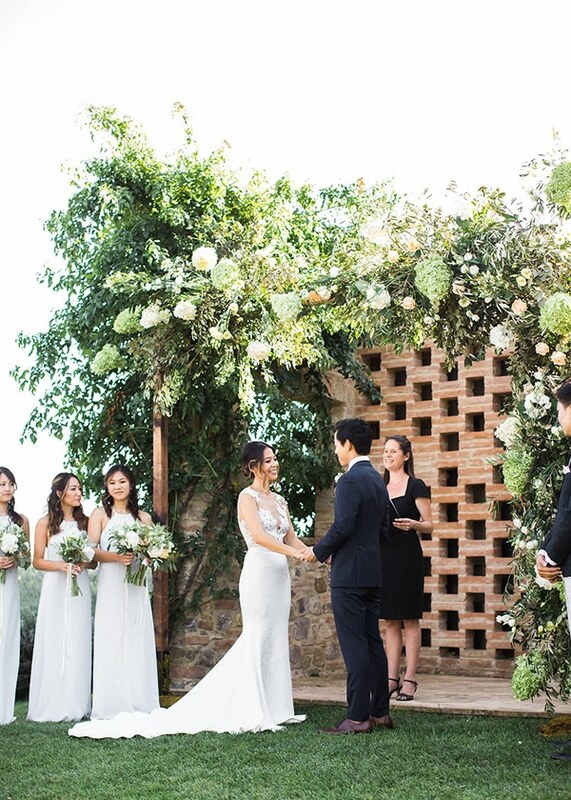 Cindy Salgado from Cindy Salgado Wedding Design & Events planned the most gorgeous wedding that was inspired by the beautiful Tuscan landscape! 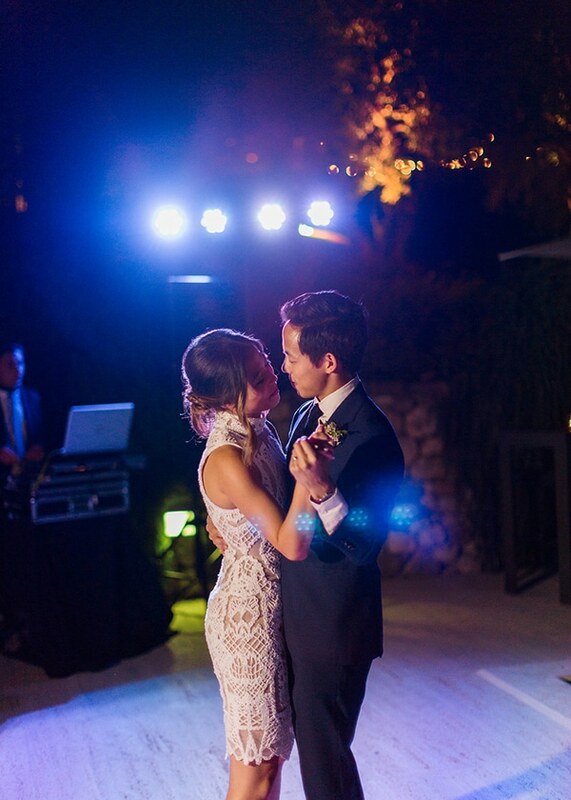 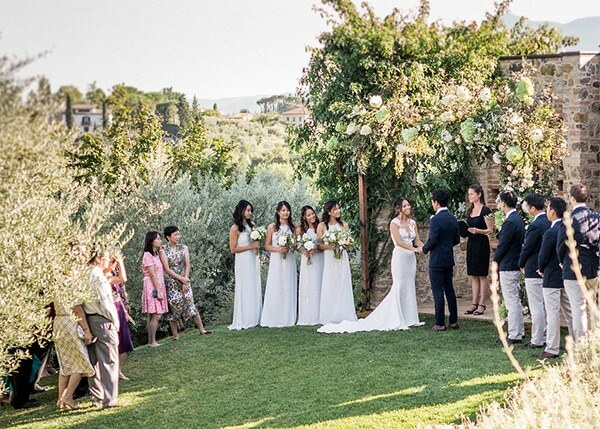 The ceremony and reception were hold outside, offering an unforgettable experience to the couple and its’ guests! 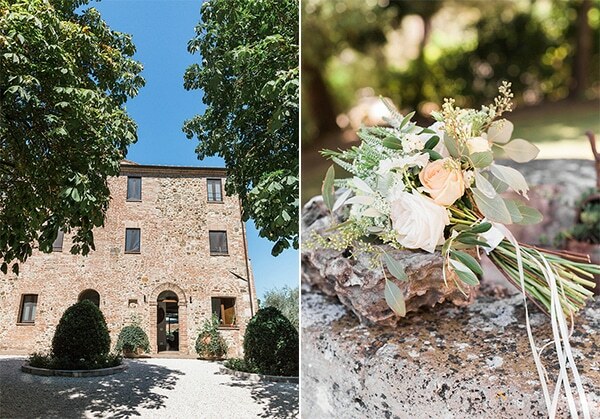 Have a look at the beautiful images and travel to Tuscany! 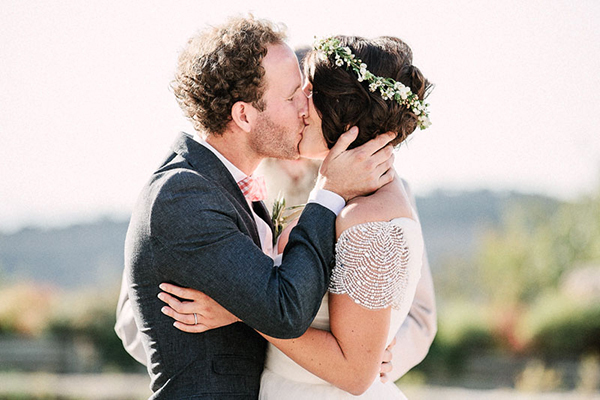 From Cindy Salgado, wedding planner: “Annie and Bruce came to me via San Fransisco after a sweet proposal in Napa. 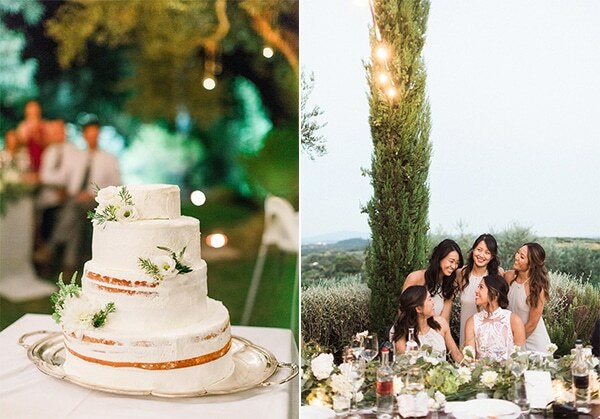 Their wish for delicious wine and food brought them to Tuscany for a dream wedding surrounded by vineyards and loved ones. 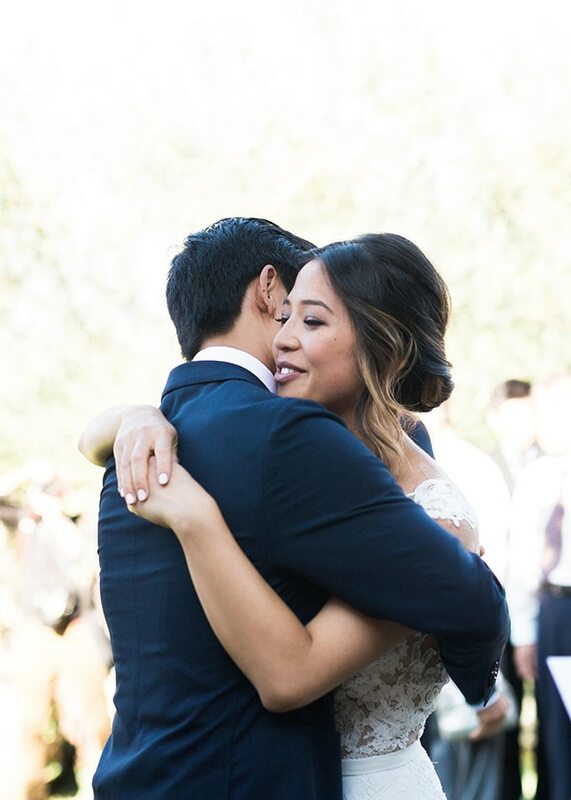 We hit it off after our first conversation and from then on it was a joy working with them. 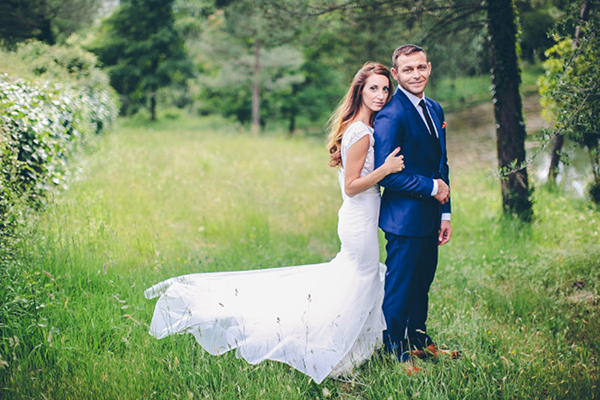 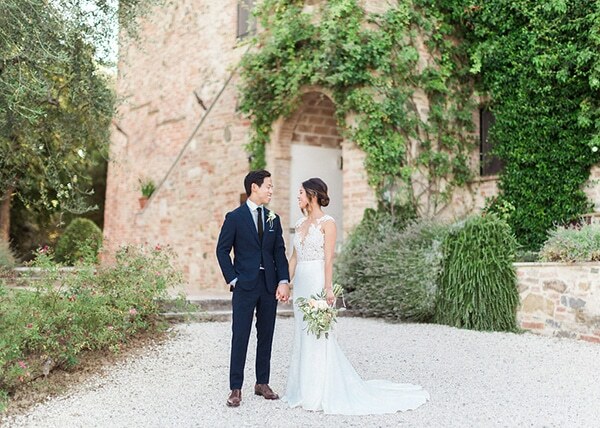 Their magical day took place outside on the grounds of Poggio Piglia. 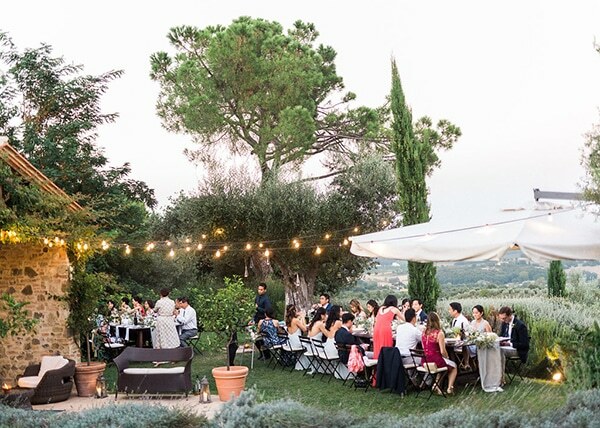 The entire group stayed in apartments on the estate and it was truly an intimate time spent together. 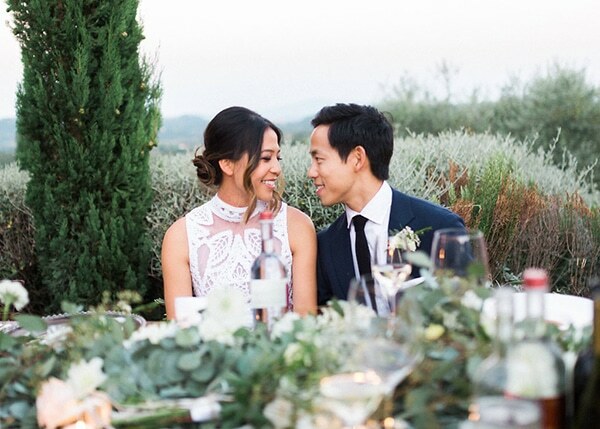 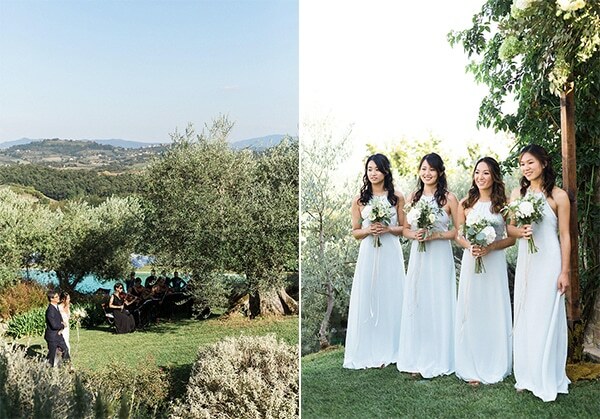 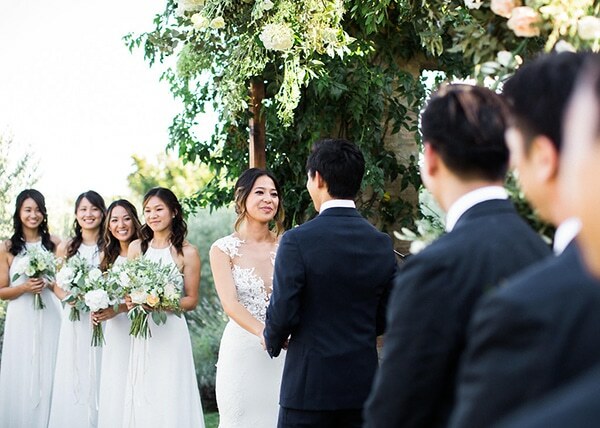 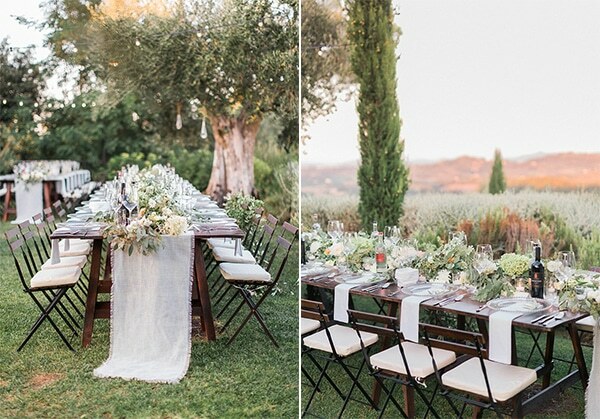 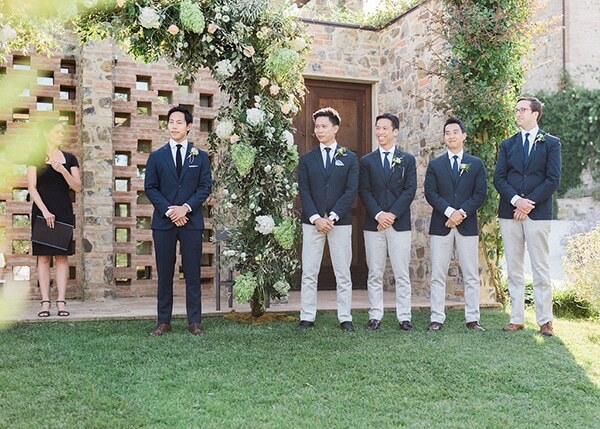 The ceremony and reception were surrounded by breathtaking views which meshed perfectly with Annie’s idea of matching her décor inspirations to the natural Tuscan landscape around them. 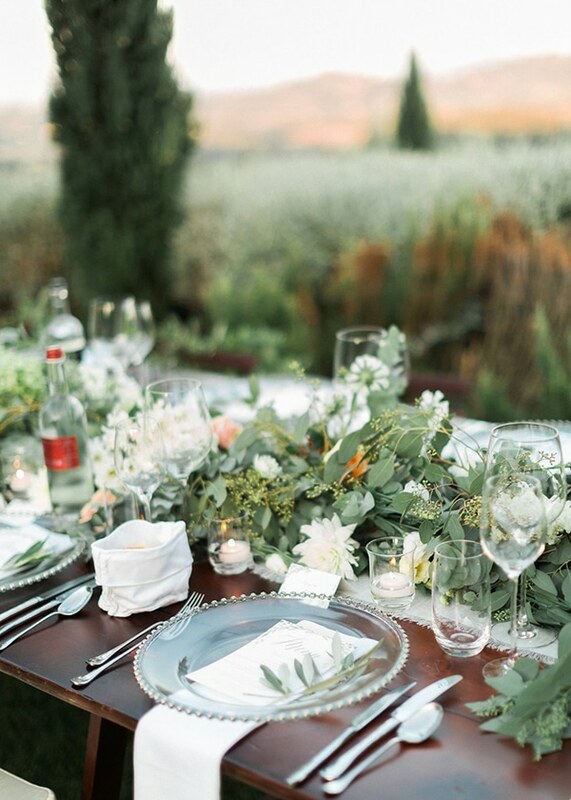 The elegant seasonal flowers and table settings designed by Dario Benvenuti only enhanced the local beauty”.